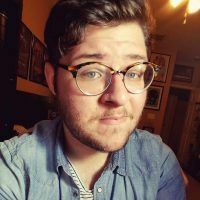 As someone who studied Film Theory for their undergrad degree and is in the process of getting my Master’s in Film Production, I have seen a slew of movies in my time. I have seen good films that performed poorly at the box office, and bad films that have done well. The more I have thought about the movie review system and how films perform, I have become more curious as to how this may influence collectibles from these films. Hot Toys announced figures from Valerian and the City of a Thousand Planets, yet after the film’s release they have been rather quiet about the figures. 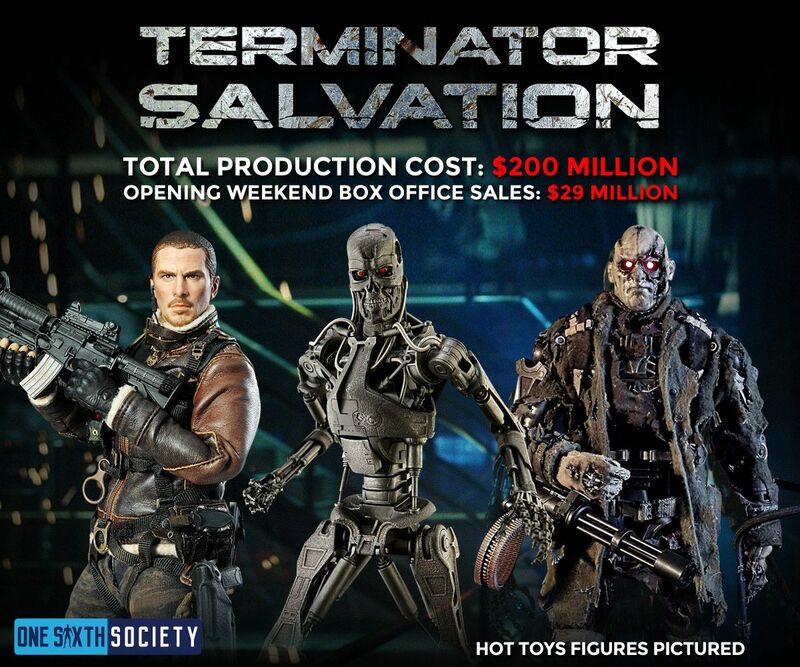 It is possible that this is a result of poor performance at the box office, yet this is not the first time Hot Toys has made figures from flops. I wanted to look back at 5 Hot Toys Figures from Films that Bombed. 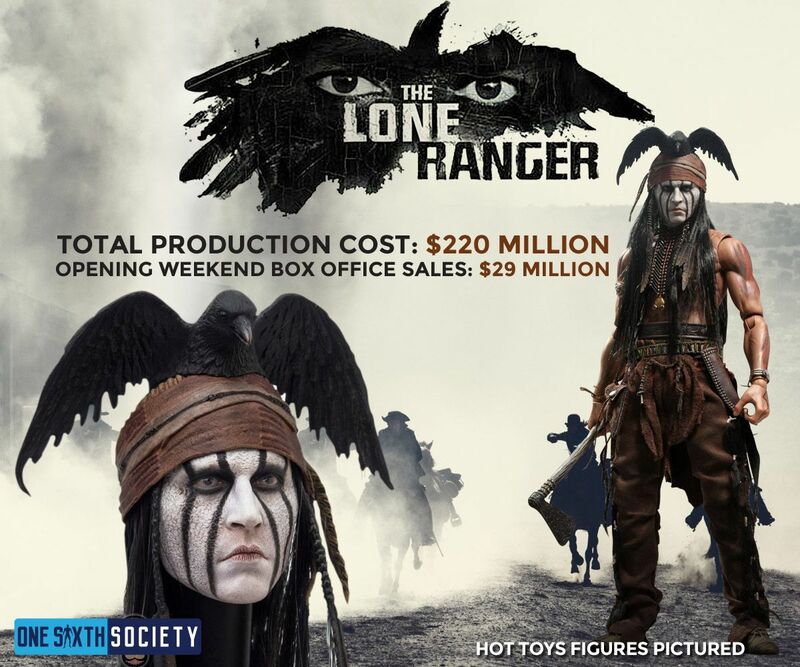 One of Disney’s largest blockbuster blunders ever, The Lone Ranger lost a significant amount of money. It was also panned by critics. On the flip side of things, Hot Toys produced one of my favorite figures they have ever done! I actually spoke about it in our underrated figure article. It is also interesting to note that while Tonto got produced, The Lone Ranger did not. I wonder if this has something to do with the popularity of Johnny Depp as an actor, instead of the quality and popularity of the film itself. This does not apply to everything, but the general rule of thumb when looking at a film’s budget is multiply it by two to account for marketing. If this rule is applied to Terminator: Salvation, the film basically struck even. In conjunction with middling reviews, the film was considered a low in the Terminator Franchise. However, between John Connor, Marcus Wright, and the Terminators from the film there were some very cool character designs. These character designs made some cool Hot Toys figures even if the film was no Terminator 2. 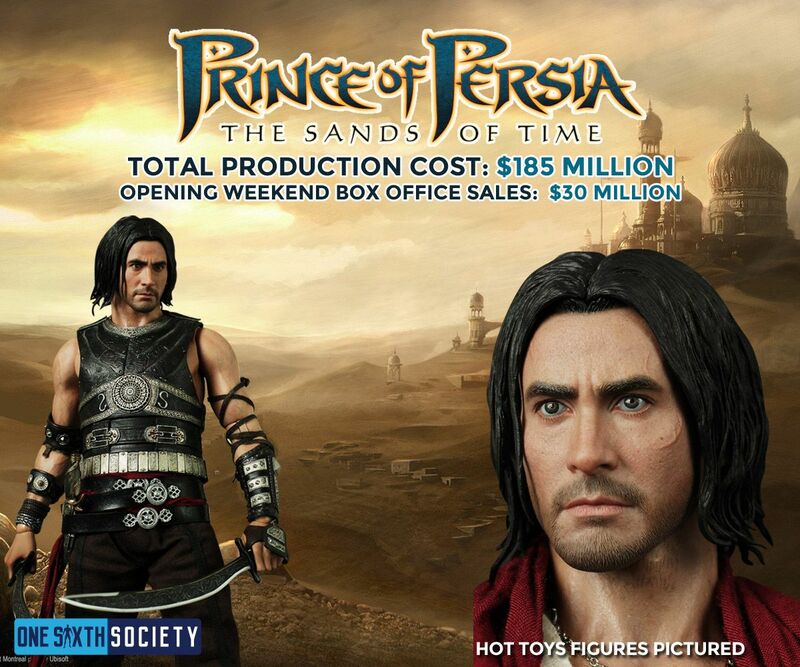 Much like The Lone Ranger, Prince of Persia: The Sands of Time was no commercial success. Financially it did a bit better, but it was not the ‘new Pirates of The Carribean’ as they had hoped. However, for a short amount of time, it was one of the most profitable video game films, and I know that there are still plenty of fans of the game series around. As such, Jake Gyllenhaal’s Dastan made a cool figure. It featured interchangeable outfit parts and a pretty nice likeness (not as good as the Nightcrawler sculpt Vimal did, but still it made our list of Films that Bombed. This one hurts to write a bit for me as a huge G.I. Joe fan. Retaliation did make money but my goodness that was not the best movie that has ever been done. A mediocre film, it did make a boatload of money so it should have been no surprise that Hot Toys would make figures from the film. 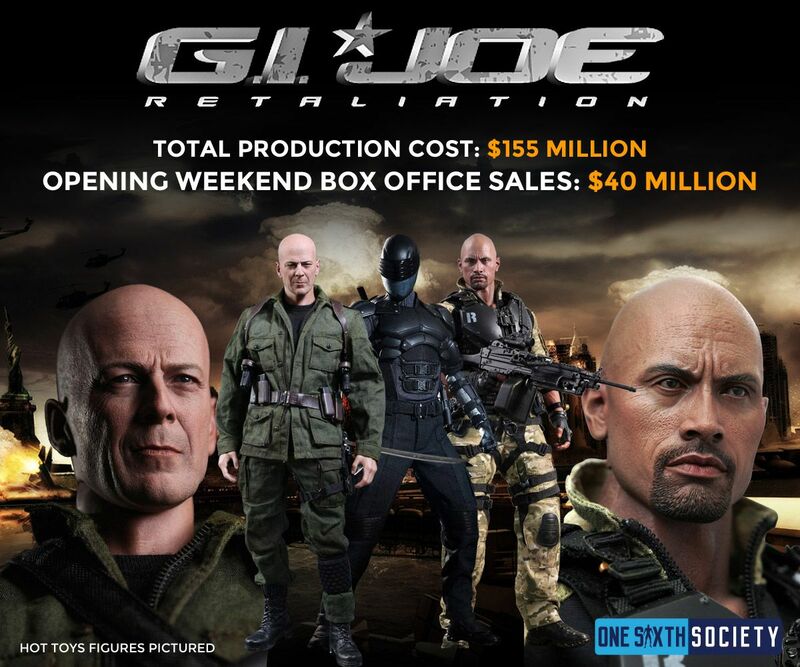 Between Snake Eyes, Storm Shadow, Joe Colton, and Roadblock Hot Toys had some winners on their hands. Snake Eyes is one of the centerpieces in my collection currently. As much of a fan of Frank Miller as I am, I was sad when The Spirit tanked as much as it did. Stylistically it was a very cool film, but it really performed poorly. 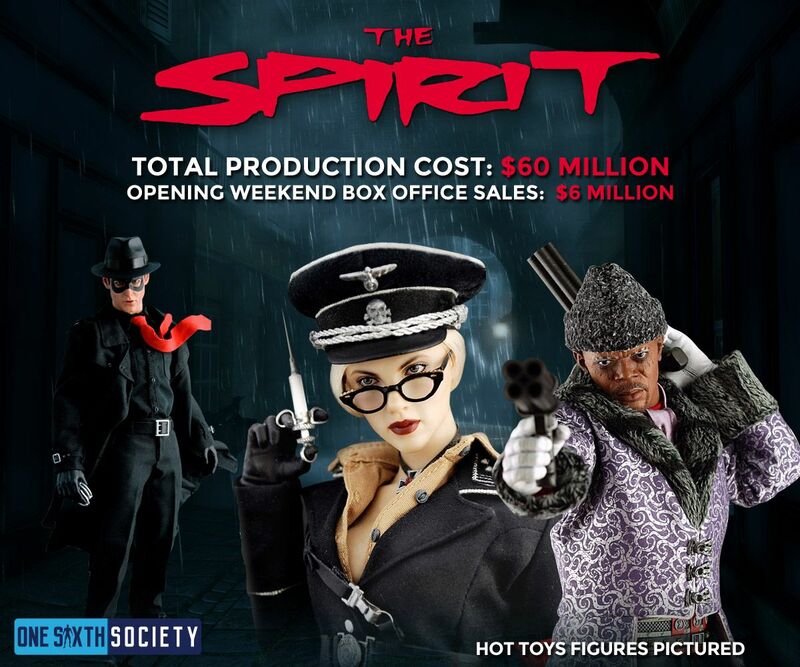 However, Hot Toys produced three really neat figures from the film; The Spirit, The Octopus, and Silken Floss. Quite different than the comic film figures they produce now, I only wish that they had a better film attached to them. It appears that at a point it did not matter how well a film did critically or commercially in order to get some Hot Toys figures made. There have been some bombs in the past that still carry entries in the MMS series. However, I am wondering if this attitude is shifting. 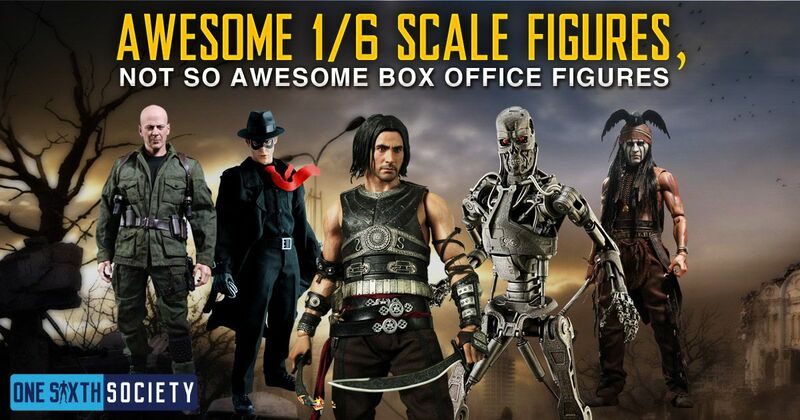 Maybe as Hot Toys has grown larger, they want to avoid producing figures based off of film that do not perform well. Will we ever see Valerian figures? Time will tell, but if the box office is anything to go by, I would say probably not. For reference, I used Box Office Mojo for the box office numbers. 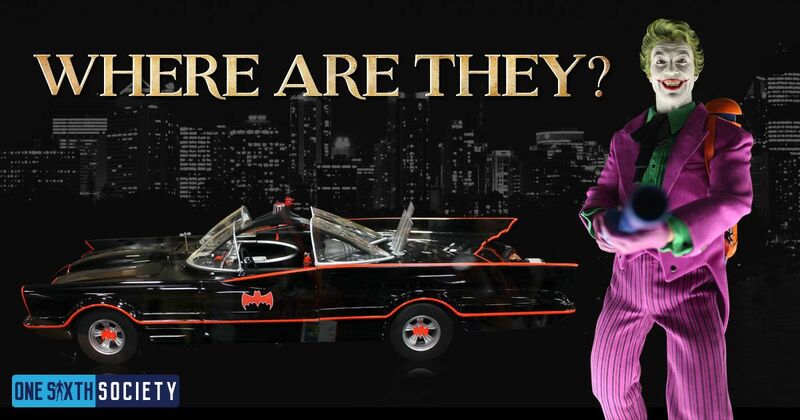 Thanks for taking a look at 5 Hot Toys Figures from Films that Bombed, and I would love to see if you have any thoughts on the subject!